Have you ever heard yourself saying ‘yes’ to a person or a situation when you really meant ‘no’? Who was it with? What was the reason? Was it to spare that person’s feelings? In today’s episode, we get real with ourselves and discuss common reasons for this behavior. We question where in life and with whom we are able to say ‘no’, and conversely, where and with whom we act out of alignment and fail to speak our truth. With this deeper awareness we’re able to find ways to easily, lovingly and resolutely own our ‘no’. To take part in the online workshop that supports this session, you will need to join Inner Circle by 31 January 2019. While you’re on our site, you can become part of our community by subscribing to our ReWilding newsletter where we share monthly astrology reports, subscriber-only discounts, and invites to the LIVE recordings of our episodes. 9.45: How Well Can you Keep an Open Heart, Open Body, Stay in a Very Loving Place and Still Say ‘No’? 10.55: To Whom in Your World Can You Easily and Lovingly Say ‘No’? 12.40: To Whom in Your Life Is It Hard to Say ‘No’? 17.15: What Are You Protecting by Not Saying ‘No’ and Is It Worth It? 21.22: What Gets Expressed When You’re With Your Family That Does Not Feel Like ‘Soul Truth’? 24.40: Are There Men in Your Life Who Have a Strong Influence Over You? 27.00: Where Do You Compromise a Truth in Order For the Masculine to Not Feel Rejected? 35.00: Q & A – How do We Change a Deeply Ingrained Pattern, Especially If It Is Compromising Ourselves? 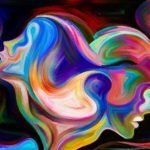 37.15: Q & A – How do you Know the Difference Between Deep Trauma Reactions and Soul Alignment Truths? 38.35: Q & A – What Does the Masculine Fear About the Feminine? 45.25: Q & A – How Do You Address a Father in His 80’s Who’s Unavailable, But Acts Like He’s Available?